Harrod Horticultural are an established retailer with a good reputation for offering a huge range of top-quality gardening equipment at fair prices along with excellent service who help to support this web site. We have a number of exclusive Harrod Horticultural Voucher Codes. Just pop the voucher code in at checkout on the Harrod Horticultural web site to claim your discount or offer. Get 10% discount off your purchase by putting the voucher code JHTEN in at the Harrod Horticultural checkout. If you’re spending over £50.00, instead of 10% you can get 2 x 10m Fleece Pack worth £11.95 Free – just use voucher code JHFLEECE instead. This is equivalent to over 20% discount! The Popadome is an innovative, award-winning crop protection system exclusive to Harrod Horticultural. It’s easy to set up and take down to store through the winter. There’s even a copper strip along the base to deter slugs and snails. 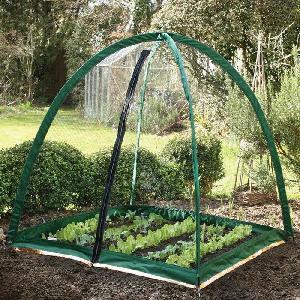 It is a full protection system with a choice of Fleece, Polyethylene and Insect Mesh Covers. The fibre glass support frames weigh just over a 1kg and it comes in a handy carry case for easy and safe storage when not required. The standard size Popadome is 1.2m x 1.2m (4 ft x 4 ft) and available here. Finally if you’ve had all the cherries stripped from your tree, the Popadome Fruit Tree Cover could be your answer. Available here. Please note the Harrod Horticultural voucher codes do not apply discount to delivery charges where applicable and some products already subject to deep-cut special offers. These offers may be withdrawn at any time. 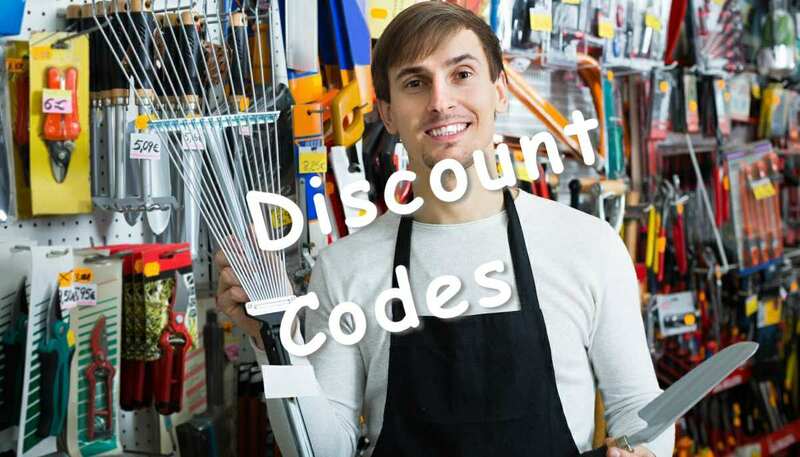 Voucher codes may not be combined, only one code per order may be used. Quadgrow Tomato Growing System Reviewed – Double Your Crop!